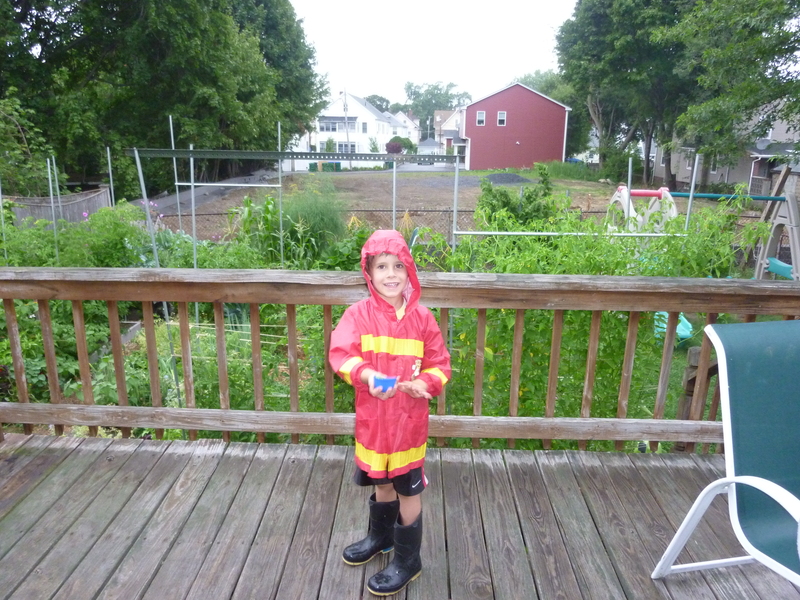 When LP decides to play in the rain, he plays in the rain! much LP has been in charge of, well . . . everything he possibly can. It’s late August and suddenly I’m wondering who is really running this place. 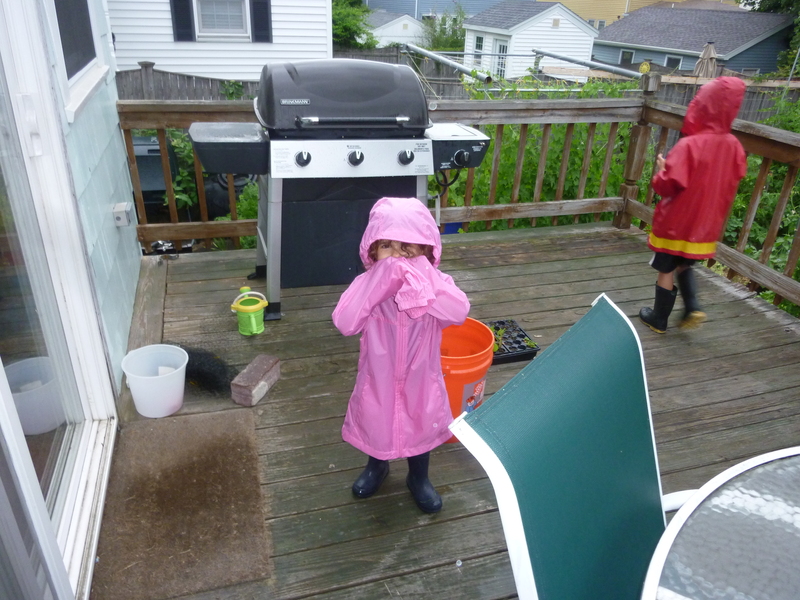 LP even got his little sister to play in the rain! LP also has been pulling out all the stops with his musical instruments. This summer he and his sister both got ukuleles as gifts, so he has been using his “little guitar” to lead music class. He sits in a chair, tells everyone “You have to be quiet and listen to me because I am the teacher!” Then he starts singing the songs he remembers from Music Together. It was pretty adorable, even when I was pretty sure that the “Two Little Kitty Cats” song was going to be seared on my brain for all eternity. 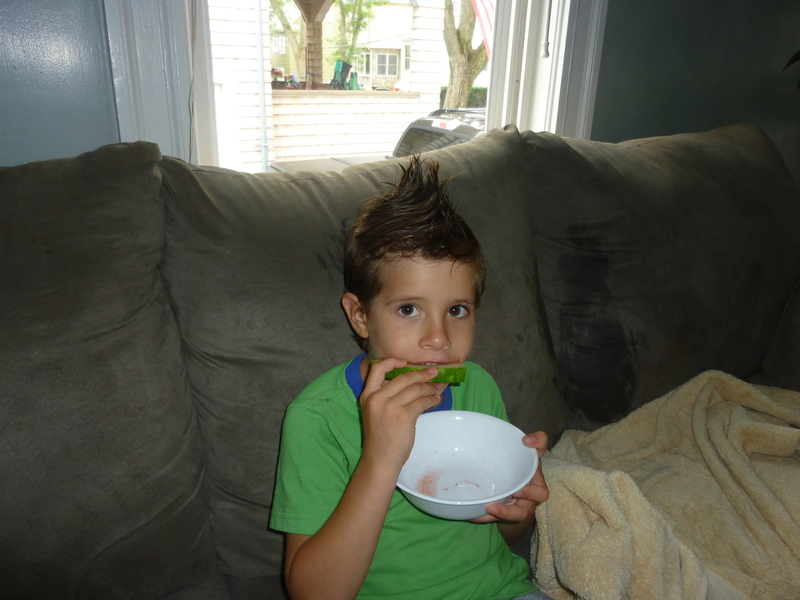 When LP says he wants “dinosaur hair” we oblige! is 3 years old and most emphatically not a baby anymore. Whenever the G-man and I try to help her with anything she strongly states “I can do by MYSELF! !” But when LP tells her “you are the baby and I’m the daddy!” she happily plays along. He puts her to bed, sings her a lullaby, gets her some Cheerios when she wakes up, and cuddles her when she cries. They often go through this whole cycle in about 7 minutes, and then the start again. Both kids love it, but truthfully I think the G-man and I love it even more. 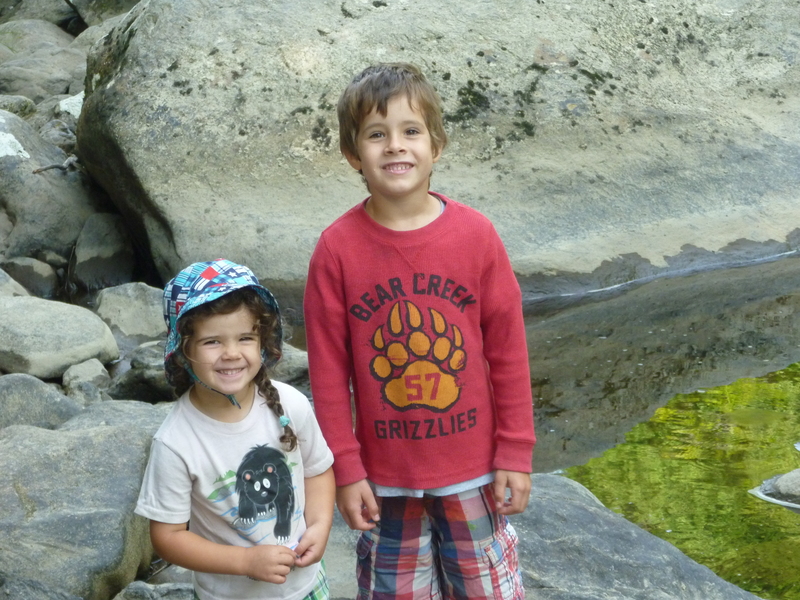 I’m still nervous about the start of kindergarten as I think most parents are, especially with their oldest child. Yet as I watch LP take charge of his pretend play their summer, I’m reminded of all the skills, both academic but mostly social/emotional, that he has developed in the last year.nI’m reminded that he will probably be just fine. He will be nervous, and he will have his feelings hurt, and some things will happen that disappoint him. But he also has the ability to open his own bakery, take care of his baby sister, and sing songs until his voice gives out. He has empathy, his speech can now be mostly understood, and he is willing to try to solve problems. He will have tough moments as we all do, but I think those will be far outweighed by the fun, the learning, and the friends he will make. All right kindergarten. Here comes LP . . . and he is large and in charge!